A great barrier, restrains the mighty river. I had begun to travel further east, rather than staying in the more familiar central and western areas of the Unfinished City. What had made this easier was the newly improved transport links, that included the Jubilee Line, the Emirates Air Line Cable Car, the Docklands Light Railway and the Thames Clipper. I had taken the Jubilee Line to the Greenwich Peninsula, where I took a flight on the Emirates Air Line and then walked through the Docklands, and Silvertown, before I reached the Thames Barrier Park. The weather was warm, with just a few clouds bubbling up from the south, as I stared out across the River Thames towards Woolwich, which was when I took this shot. It was an overcast, but mild, Saturday afternoon, when I took my first trip to the Old Royal Naval College. It had been on my list of places to visit, within the Unfinished City for many years. I had visited the Cutty Sark and the Greenwich Peninsula, but these buildings had always escaped me. Thankfully, because of the weather I suppose, there were very few visitors, so I was able to get this shot that I had seen so many times, but never in person. 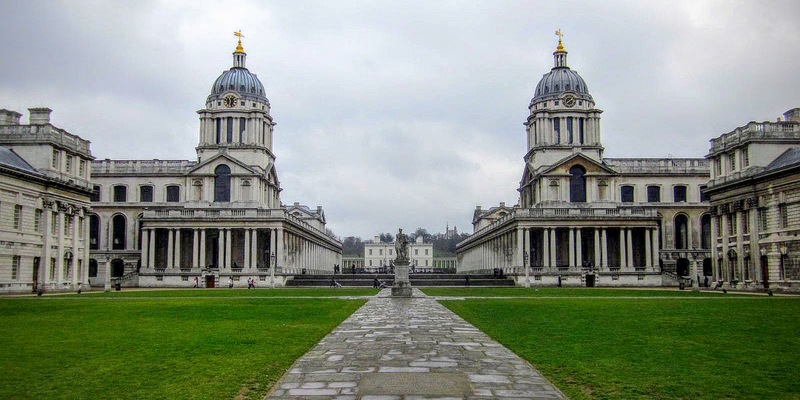 Since I took this photograph, I have yet to return to these mesmerising Wren buildings. It was late afternoon as I travelled to the Unfinished City, to soak up the Olympic atmosphere. After wandering around Westminster, I headed for Tower Bridge in the hopes of grabbing a few images of the Olympic Rings, which had been hung beneath her western walkway. 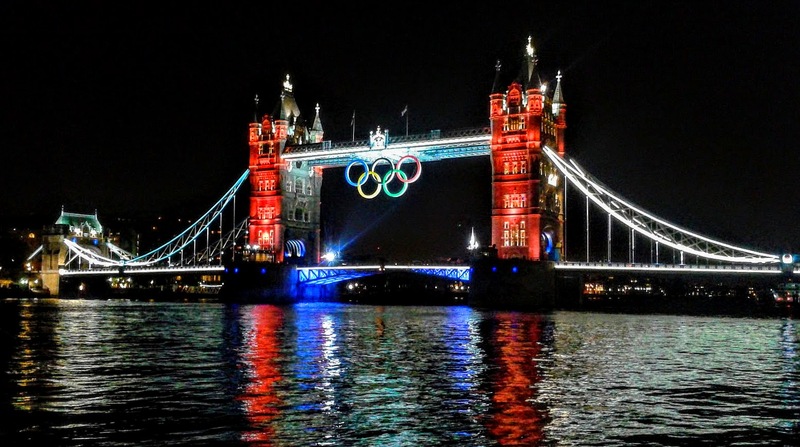 The bridge was also being lit up with colour-changing lights, giving it an extra special look. As night descended the bridge began going through a myriad of colour-changes, it was hard to find the perfect one to shoot. Then, as if on queue, the lights took on the colour of the Union Flag; Red, White and Blue. 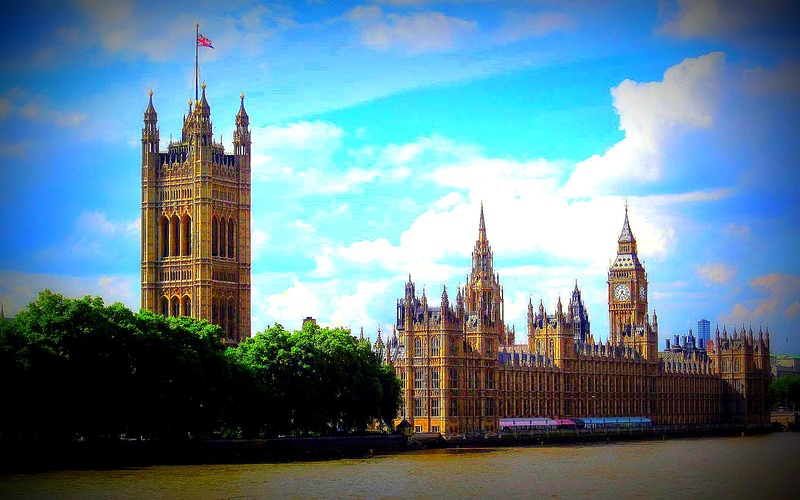 Many of the photographs of the Palace of Westminster, are taken from the south bank, usually from opposite the building, or from the eastern side of Westminster Bridge, from outside the old Greater London Council building. I was after a different angle. So, as I began yet another wander around the Unfinished City, I took a stroll across Lambeth Bridge and glanced towards the Palace of Westminster. The sun which had burnt away many of the clouds, to reveal the blue sky, and illuminated this majestic building, perfectly. I just had to wait for the breeze to catch the Union Flag, before I could get the shot that I was after. My first visit to London's Docklands was back in 1988. Saturday October 8, to be precise, to see Jean-Michel Jarre's Destination: Docklands concert. Jarre, his orchestra and choirs were situated on a 1,000 ton floating platform, while the freshly painted Millennium Mills acted as a screen for the various images and lasers. The grandstands, where the 200,000 spectators sat, have now been replaced with the ExCeL Centre, while the mills themselves are still awaiting a much needed makeover. Back on the evening of October 8, 1988, the weather had been windy with a slight hint of rain in the air. Sunday night's show would be downright water-logged. 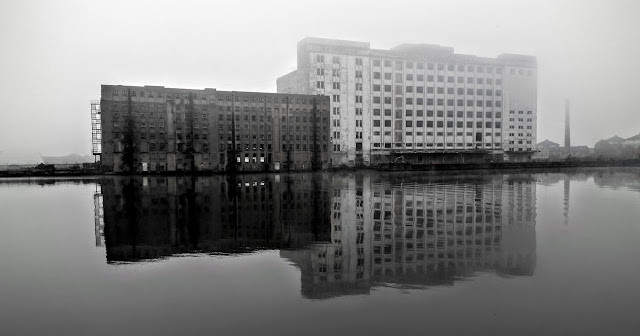 The day I took this photograph, however, it was decidedly foggy, which made the derelict buildings seem even more forgotten by time.